Description: The main objective of this study is to design, fabricate and experimentally test an unmanned air vehicle (UAV) which can convert to five or more micro air vehicles (MAVs) that are simultaneously separated from a mother MAV. Each of the separated MAVs will act as an individual drone. Description: Develop an innovative model order reduction (MOR) technique that can effectively model both linear and nonlinear contributions of the impact-contact problem of a robot hand grasping a boulder. Description: Study the problems of rarefied jet and impingement flows, along with their many applications of NASA’s interest, e.g., plume flows from chemical or electric propulsion devices; materials processing inside vacuum chambers; plume and surface interactions; contaminations, and molecular beams. Description: This research focuses on the development of a novel adsorbent for hydrogen storage. Researchers will apply the ordered mesoporous carbon (OMC) for removing organic sulfurs from hydrocarbon fuels by selective sulfur adsorption. This adsorbent has the advantage of extremely large specific surface area (~6000 m2/g), high accessible pore volume (0.87 cm3/g) and uniform pore size distribution with average pore diameter of 6 nm and very fast kinetics if hydrogen adsorption. If this material is doped with palladium and platinum with a suitable technique, it could give rise to very high hydrogen uptake even at ambient conditions. Researchers will synthesize the ordered mesoporous carbon adsorbents, dope it with palladium and platinum, make all possible materials characterization of SEM/TEM imaging and XRD pattern, evaluate adsorption equilibrium and kinetics, generate heat of adsorption curve and provide five adsorbent samples for NASA White Sands Test Facility to validate the adsorbent developed in this project. The ultimate goal of this project is to develop a cost-effective and safe on-board hydrogen storing process using physiosorption. Description: Identify the most important geometric parameters of 3D woven reinforcements contributing to microcracking during processing. The project will advance the state of the art in design and modeling of 3D woven composites, contribute to NASA research and educational objectives, and potentially improve NMSU capabilities by initiating a new research direction of interest. Description: Create topographic products of the lunar surface by integrating data collected by both sensors. The project will contribute toward NASA’S goals of exploring the Moon and other planets by analyzing and chartering the surface and geodetic properties of the Moon. Description: This project will contribute toward NASA’s goals of studying and characterizing planetary surges. This will allow NMSU to initiate institutional capacity in processing planetary data and start collaborative relationships with NASA centers. Description: This project will 1) Validate a high-voltage current source for ion-mobility spectrometry (IMS) and differential ion-mobility spectrometry (DMS) instruments. 2) create a high-voltage, high-frequency, power source for DMS. 3) Create a high-voltage, very high-frequency power system for fragmenting gas ions in a tandem DMS/DMS system. Description: The goal of this project is to conduct a preliminary study of an innovative technology of using a passive mechanism to compensate the gravity force for training astronauts walking on the Moon or another reduced-gravity environment. The technology is based on static balancing of gravity forces using spring enforced parallel mechanisms. In the project, a simplified prototype mechanism will be designed, built, and tested. The test will help: 1) better understand the theory and explore potential issues unforeseeable from the theory; 2) investigate several known influential issues such as spring design, dynamic loading, and joint friction; and 3) improve the design concept to make it practically feasible. The new technology will provide a low-cost, very reliable, and easy-to-use alternative means to meet the increasing need of EVA training for NASA’s future manned planetary exploration missions. Description: This research will develop a device for shielding electronic circuits from electromagnetic noise of ultraviolet, visible, infrared, and microwave wavelengths. The project will explore electromagnetic shielding and inductance applications of interest to NASA. Description: The use of solar power has been instrumental in the human exploration and development of space. To meet the increasing demands for electric power in manned and unmanned space exploration programs, it is necessary to develop new types of solar power conversion systems that utilize innovative device design and employ novel photovoltaic materials. The objective of the research is a fundamental study aimed at significant performance improvement of photovoltaic devices based on nanoscale semiconductor heterostructures. To accomplish this goal, researchers combine the state-of-the-art density functional and time-dependent density functional methods with parallel computational algorithms implemented on Beowulf computer clusters. The success of the project will extend the knowledge of the electronic and optical characteristics of these structures and lead to development of nanomaterial for photovoltaic cells that offer the potential for significant advances in space power generating capability. Description: The overall goal of this project is to develop and demonstrate one of the most critical enabling technologies required for developing space flight motion simulators. These next-generation, end-to-end (from launch to landing), 6-degree-of-freedom (6-DOF) simulators will provide the realistic motion and visual cues for training space travelers. They will also support the future of personal space flight. The technology to be developed uses computer controlled exoskeletons to allow a human limb to move freely as if in a zero-gravity or reduced-gravity environment. Description: Develop and test a bioinorganic (porphyrin-inorganic) flexible thermoelectric nanocomposite for highly efficient thermoelectric fabric applications. A highly efficient thermoelectric fabric could be one of the components of an astronaut’s space suite that could provide power to support life support sensors. Description: Aerospace structural systems experience a broad spectrum of environmental and operational loads. Severe and/or prolonged load exposures may trigger the damage accumulation process even in recently deployed structures. The accumulated damage leads to the deterioration in the elastic and conductive properties and to reduction in the material strength. This work aims to collect sufficient amount of experimental data to establish a solid link between strength reduction due to accumulated damage and maximum value of the electrical conductivity across the specimen. The project involves substantial experimental work: fatigue testing, electrical conductivity measurements and fracture toughness tests. The experimental measurements are followed by statistical analysis of the data. 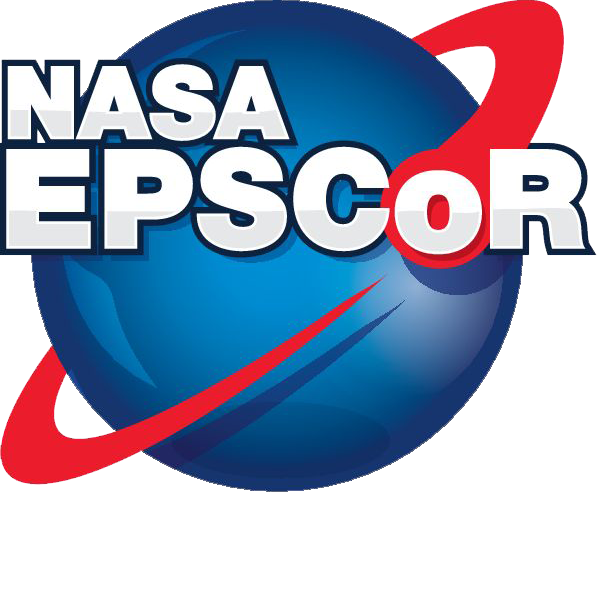 Description: This research will address NASA’s need for the development of materials that demonstrate prescribed thermal expansion and thermal pressure properties. Note, that while composites with zero thermal expansion in one direction have already been developed, the isotropic materials with zero thermal expansion in all directions represent substantial novelty of the proposed research. Description: Electrons and protons in space can cause permanent damage in crystalline materials that may be especially crucial for materials used in electronic and optoelectronic devices since such damage can lead to operational failure. Successful operation in space requires understanding of the mechanisms that cause property deterioration and degradation as well as properly validated micromechanical modeling in order to predict whether materials will withstand the harsh environments encountered in space systems. The proposed research focuses on the effect of radiation damage on the mechanical performance of materials and their electric properties. The researcher is developing a qualitative micromechanical model that predicts changes in elastic and fracture–related properties of materials as well as their thermal and electric conductivities in dependence on the extent of radiation damage – dislocations, clusters of vacancies, radiation-induced foreign particles. The micromechanical model will be verified on experimental data available in literature. Description: This program provides paid research positions to students to aid in paying for school while participating in enrichment activities such as research projects. Students funded will work on the Ionospheric Neutron Content Analyzer (INCA) Satellite CubeSat mission. This program will produce students that are well versed in the related STEM fields and have skills that are reinforced with hands-on work experience. Graduates will be highly qualified for employment with NASA, National Laboratories, or the commercial industry. Space Technology Mission Directorate (STMD) and specifically focus on the area of In-Situ Instruments/Sensors Technology. Description: This research applies newly developed automated image processing techniques to the analysis of imaging calorimeter data taken with instruments for high-energy, particle astrophysics. The nature of dark matter is the most fundamental question currently at the forefront of physics, astronomy and cosmology. The use of imaging calorimeters for particle astrophysics was pioneered at NMSU with a series of balloon flights starting in 1989. Over the past 20 years these instruments have been improved and are widely used on balloon and space based missions for astrophysics. However, developments in the analysis techniques have progressed more slowly. This project will focus on developing an improved methodology for determining the energy and identity of particle from their signals in imaging calorimeters. The state-of-the-art in particle identification produces a separation between electron events and proton events of 105. This means that 1 in every 105 is misidentified as an electron. This proposed work applies some of the newest image processing techniques from electrical engineering to the analysis of imaging calorimeter data with the goal of improving the separation of electron and proton events by an order of magnitude (106). If successful, the algorithms developed through this work could find widespread use throughout the worldwide astrophysics community. This work strengthens NMSU and will put NMSU in an excellent position to have a major role in NASA’s Orbiting Astrophysical Spectrometer in Space (OASIS) mission. Description: This research develops a microwave-based subsurface imaging for health monitoring of aerospace structures using an electromagnetic full-waveform inversion method. This method utilizes microwaves to investigate inner structure and/or material composition of aerospace structures to detect flaws or damage such as cracks, voids, and delamination. Of particular interest is utilization of information embedded in the complete electromagnetic waveforms, typically recorded directly in the time-domain at transducers placed outside the probed structure. The objectives of the research are two-fold. First, a transient microwave scattering problem is to be solved in two- and three-dimensions using the finite element method to determine electric and magnetic fields. Secondly, a full-waveform inversion is to be performed using a PDE-constrained optimization framework to reconstruct the spatial variation of permittivity, permeability, and conductivity parameters inside a structure under investigation. Researchers are investigating the robustness of the developed inversion algorithm and studying the effects various inversion parameters have on the performance of the electromagnetic subsurface imaging.